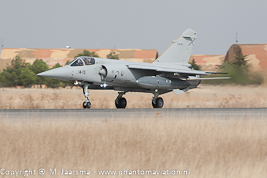 A Morrocan Air Force Mirage F1 crashedon January 21, 2019 (not included in above report). 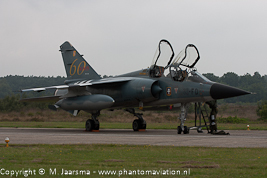 French Air Force Mirage F1B from EC 03.033 at Kleine-Brogel July 20, 2004. 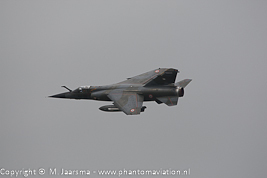 French Air Force Mirage F1CR from ER 02-033 departing Leeuwarden April 16, 2013. 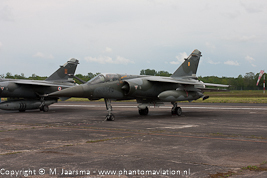 French Air Force Mirage F1CT from EC 03-033 at Luxeuil May 21, 2005. 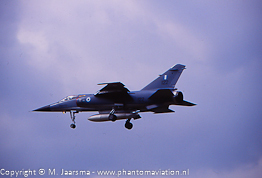 Greek Air Force Mirage F1CG assigned to 342 MPK landing at Chievre on June 23, 1995. 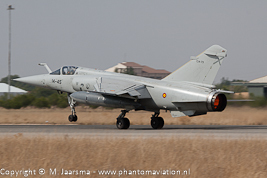 Spanish Air Force Mirage F1M from Ala14 had its homebase Albacete on September 28, 2006.